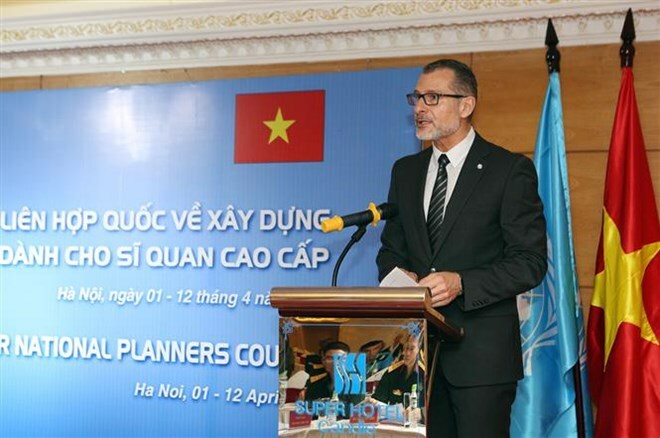 Hanoi (VNA) – The Department of Peacekeeping Operations under the Ministry of National Defence is hosting the United Nations (UN) Senior National Planners Course, which opened in Hanoi on April 1. The event, which will run until April 12, has drawn the participation of 11 experts from the UN Integrated Training Service and 30 trainees from 23 UN-member countries engaged in peacekeeping activities across the world, including five Vietnamese military and police officers. During the course and under the guidance of experts, participants will be endowed with basic knowledge in recruiting, training, implementing, supporting and replacing military and police units in UN peacekeeping activities, thereby improving management and efficiency in those activities. It is the 10th international course on UN peacekeeping activities held in Vietnam.